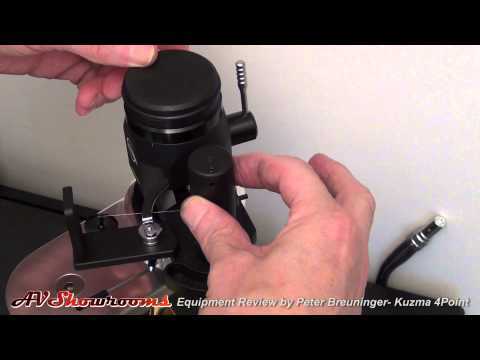 Kuzma 4Point Tone Arms are the Ultimate for Serious TT Owners. Stereophile: 4Point on Onedof turntable by M. Fremer: "It produced an experience like listening to open-reel tape, with imaging and soundstaging stability superior to those of any arm I've heard, including Continuum Cobra. 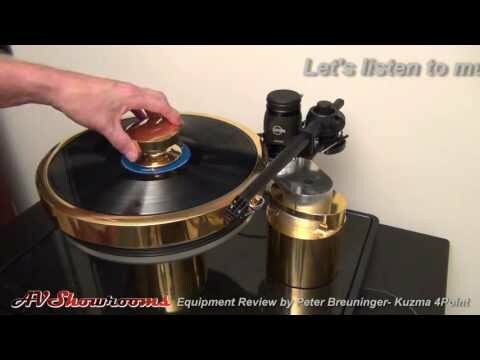 The highly customization and thrilling sounding Kuzma 4Point Tone Arm. There are so many customizing that we don't show any price. The 4Point differs from other tonearms by introducing several new and unique features. The new zero-play bearing is configured on 4 points. The 4POINT tonearm has an effective length of 280mm (11-inch), a very precise VTA adjustment facility and fits our standard mount with a 212mm pivot-to-spindle distance. The heart of this new design is the unique 4-point bearing. Two points (which are similar to a uni-pivot bearing) allow and control vertical movements of the tonearm. The other set of two pointed bearings allow and control horizontal (lateral) movements of the tonearm. All four points of the bearing have minimal friction and zero-play in all planes of movement, thus ensuring that the cartridge platform and the cartridge itself follow the grooves of an LP with extremely low friction and minimal vibrations. 4POINT’s main section is firmly connected to a very rigid and inert VTA tower which provides the option of fine adjustments of the vertical tracking angle either when the tonearm is stationary or while6675 the LP is playing. All this, of course, without any loss of rigidity and with 0.01mm accuracy of adjustment and zero-play!